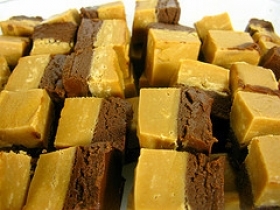 Have you made Easy Peanut Butter and Chocolate Fudge? 1. 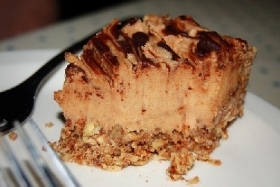 In a large saucepan, melt peanut butter chips, 1 cup of condensed milk and 2 tablespoons of butter; stir occasionally. 3. 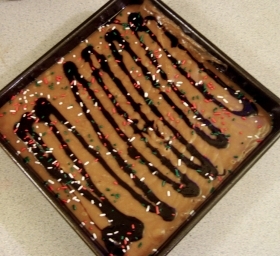 Spread mixture into wax paper lined 8 inch square pan. 4. 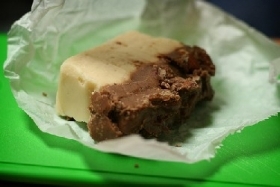 In a small saucepan, melt chocolate morsels, remaining milk and butter. 5. 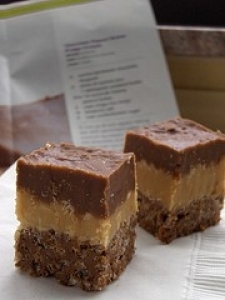 Spread chocolate mixture on top of peanut butter mixture. 6. Chill 2 hours or until firm. 7. 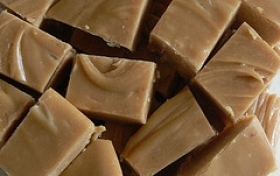 Turn fudge onto cutting board; peel off paper and cut into squares. 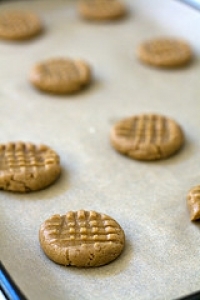 This recipe contains potential food allergens and will effect people with Peanuts, Butter allergies.